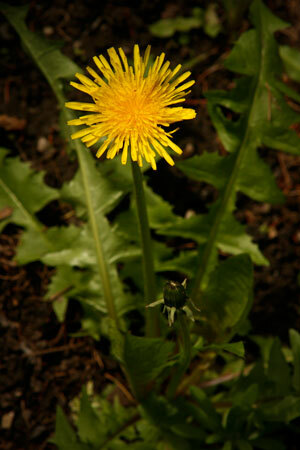 Dandelion grows throughout the northern hemisphere where its used to treat digestive disorders. The leaves can be added to salads and eaten as part of the diet for its rich nutrient content. Herbalists recommend boiling the root in water to promote digestion and treat liver conditions and gallbladder complaints. Both the roots and leaves contain bitter-tasting sesquiterpene lactones that stimulate digestive juices and promote bile flow. The leaves show promise as a diuretic to treat edema, blood pressure, and urinary issues like kidney stones.